Blessed Mother. Our Lady. Queen of Heaven. Mother of God. Holy cards that offer a quick prayer. Packs of 100. 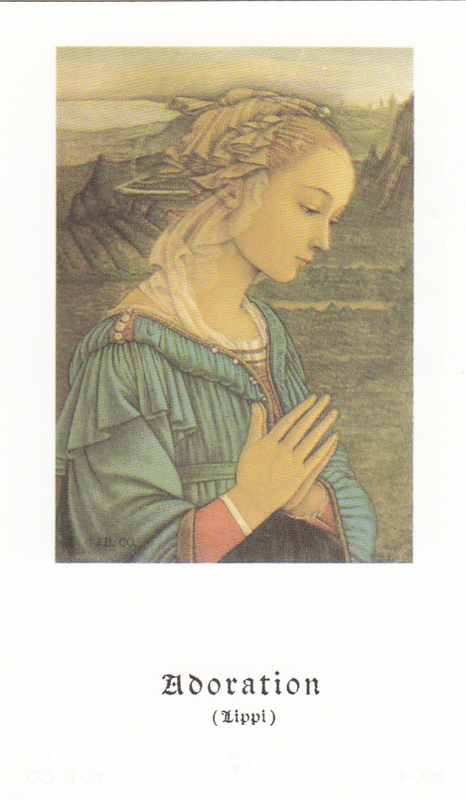 From the back of the card: "Lovely Lady dressed in blue — Teach me how to pray! God was just your little boy, Tell me what to say! Did you lift Him up, sometimes, gently on your knee?…" Paper card. 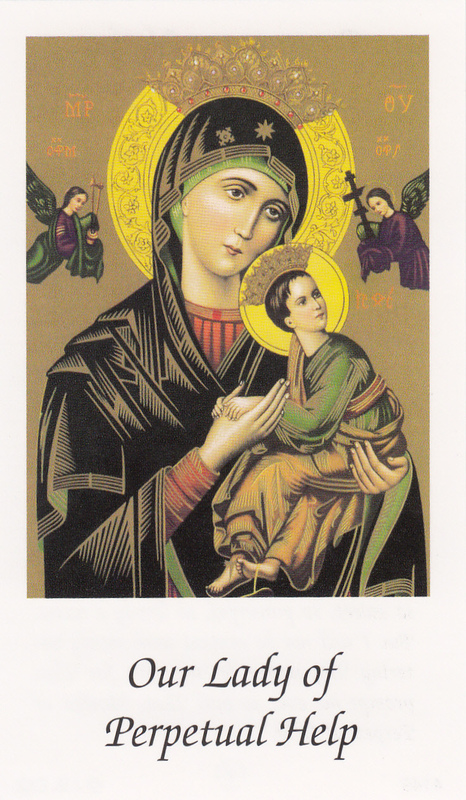 From the back of the card: "O Mother of Perpetual Help, grant that I may ever invoke Thy most powerful name, which is the safeguard of the living and the salvation of the dying…" Paper card. 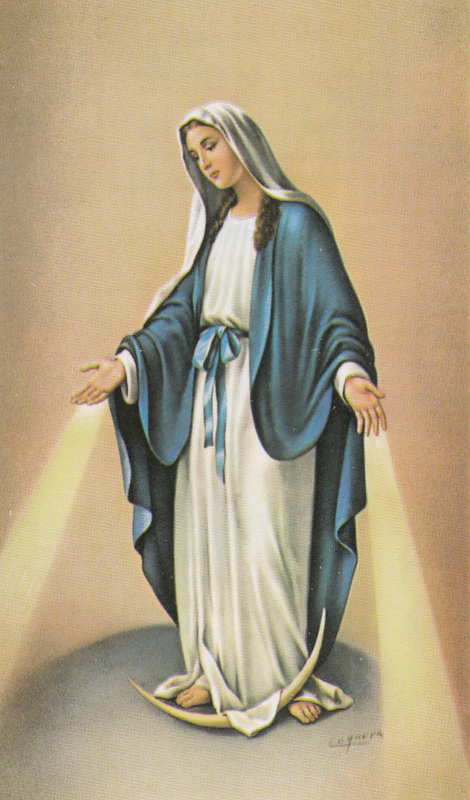 From the back of the card: "Hail, Mary, full of grace; the Lord is with thee: blessed art thou among women, and blessed is the fruit of thy womb, Jesus. Holy Mary, Mother of God, pray for us, sinners, now and at the hour of our death, Amen."